knitted :: Handspun Lavalette, originally uploaded by earthchick. Well, hello and happy new year! It’s high time I caught up on all my bloggables so that I can do my usual year-in-review before February, if possible. 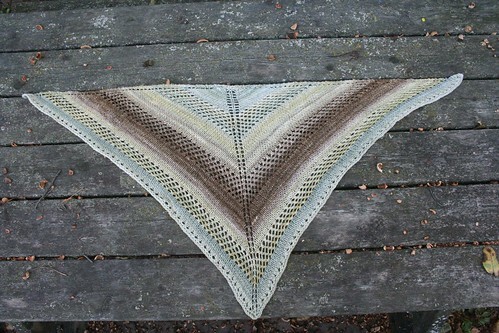 First up is this shawl, one of my favorite knits of 2010. I had been wanting to knit this pattern of Kirsten’s for awhile (um, have I mentioned that I love all things Through the Loops> Because I so do. 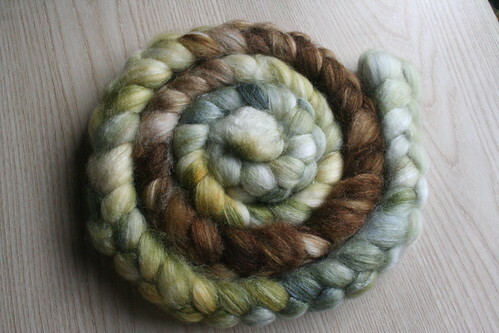 Sometimes, when I received a hand-dyed fiber, I know exactly what I’m going to ultimately make with it. This was one of those times. I took the yarn with me on vacation and 3 or 4 days into the trip, had this shawl done. I loved every minute of knitting this. The pattern is another beautiful match for handspun – interesting but not so complex that it overwhelms the simple beauty of the yarn. I loved the way the colors played out as I knit it up, and I loved the drape of the fiber. I made this for our dear friend Susie, who has opened her beach home to us for the last few summers. These colors reminded me of the beach, and of her. Susie is an artist and appreciates the value of handmade, so I felt really good about giving her something handspun. Otherwise, this would have been a hard one to give away. I pretty much love it! Absolutely gorgeous! Love the whole transition, fiber to yarn to shawl! 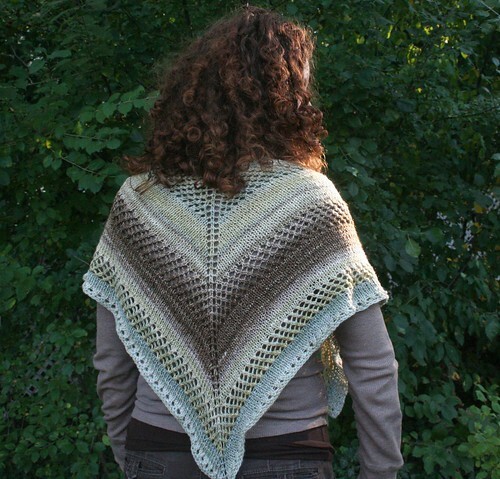 What a beautiful shawl you turned that awesome fiber into!! I love love love it!!!! It’s beautiful! What a thoughtful gift. Oh wow! Another fantastic marriage of pattern and fiber/yarn! I love this one – the colors are so pretty together!! Gorgeous! I love the way the stripes worked out. 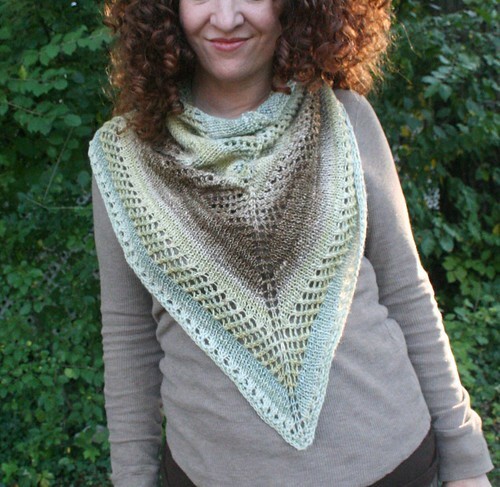 That spun up gorgeous & the shawl is pretty. I bet Susie loved it. i’m always amazed when i see nearly even striping (or perhaps it IS even, I’m assuming there are small jogs). Anyway, I’ve only accomplished that accidently but appreciate it when people take the time to make the product look as finished as yours! What a great gift! That is just gorgeous! 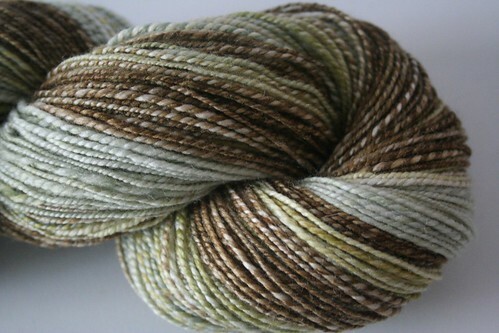 What a great pattern for handspun! I love those colors. Love it! I so wish I could work as fast!!! 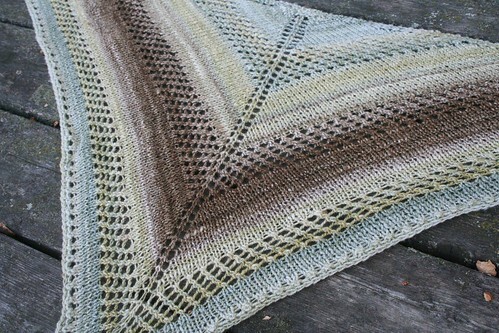 I very much want to make this shawl. Any chance you’d have the pattern still?